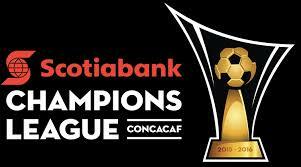 In 2017 Concacaf introduced the league competition to increase competition between Caribbean and Central American clubs and provide a qualification route to the Champions League. With expansion to 22 teams comes increased qualification slots for the Champions League from one to six. “We are very excited to take a major step forward to enhance our expanded Concacaf Club Competition Platform,” said Concacaf general secretary Philippe Moggio. But the new league may not be welcome news for Central American teams who will now be forced to qualify for the Champions League by way of the CONCACAF League, the second-tier competition. In the current format five of their clubs enjoy direct qualification to the Champions League. Costa Rica, Honduras, Guatemala, Panama and El Salvador each have one berth for the main tournament. In the new format those five countries could have no representatives at all in the Champions League or may find they have two or three teams. Costa Rica has two teams in the 2019 Champions League with Saprissa as domestic champions and Herediano in the tournament as the 2018 Concacaf League winner. In 2020 they might well have three teams in the Champions League. The Concacaf League’s expansion will see the tournament add a preliminary round with 12 clubs playing a home-and-away series. Among those 12 will be an entrant from Canada. The Canadian champions will qualify automatically for the Champions League alongside four MLS teams, four Liga MX teams, the Caribbean Club Championship winner and the six teams from the CONCACAF League. At the end of the league, all the clubs will be ranked and the top five clubs, behind the champions, will also secure a berth in the Champions League.